Building a new deck adds value to your lifestyle, and to your home. Decks can be built in composite, PVC for longevity and lower maintenance or natural hardwood (i.e. Ipe or Bamboo). 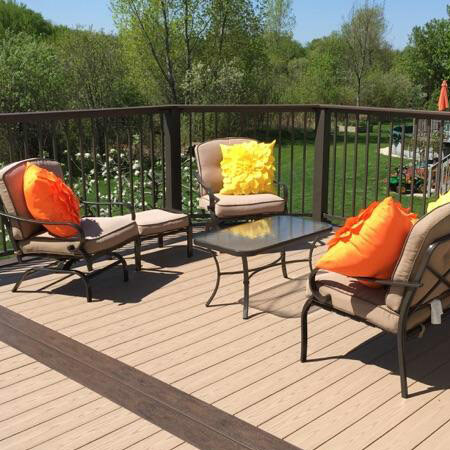 Composite & PVC decking offer a wide range of color options from wood tones, to a more modern gray tones. We proudly install Azek™ capped polymer decking and other PVC decking products. It’s extremely low maintenance decking with high durability and it is even scratch resistant. If you prefer the look of wood vs. composite, we install Bamboo & Ipe natural hardwood decking. A hardwood deck will give a luxurious look and feel, similar to what you'd see at high end resort. When having a new deck installed, you’ll recoup much of your investment when you sell your home. Remodeling Magazine's 2018 Cost vs. Value Report estimates that in Milwaukee, there is an average of 64.7% return on investment for a wood deck addition and 64.1% return on investment for a composite deck addition. 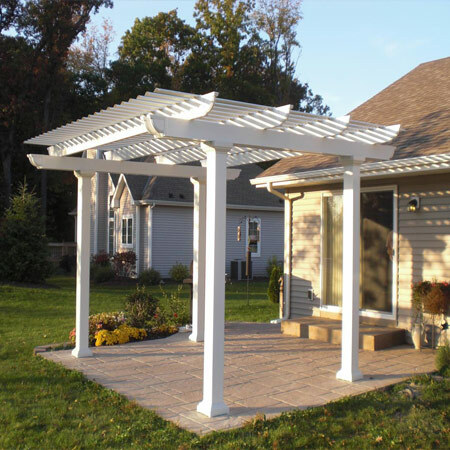 Let us help you design your new, outdoor living space. There are a wide variety of finishing touches that can be added to your outdoor living space. For shade, and added comfort, consider adding a screened in area to enclose all or some of your deck space. Enjoy your deck after dark with lighting accents. If entertaining is your speed, add an outdoor kitchen with a grill and fridge to keep all your guest entertained for hours. Let our experience and expertise guide you in choosing the right design features for your project. For a finished look to the underside of a second story deck, consider an InsideOut® underdeck drainage system. This allows you to entertain, and still enjoy the outdoors in the rain. Plus, this system tranforms the unsightliness of the underside of your deck. Wood grain & solid color finishes are available to customize an outdoor living space that reflects your personaility and matches the style of your home.